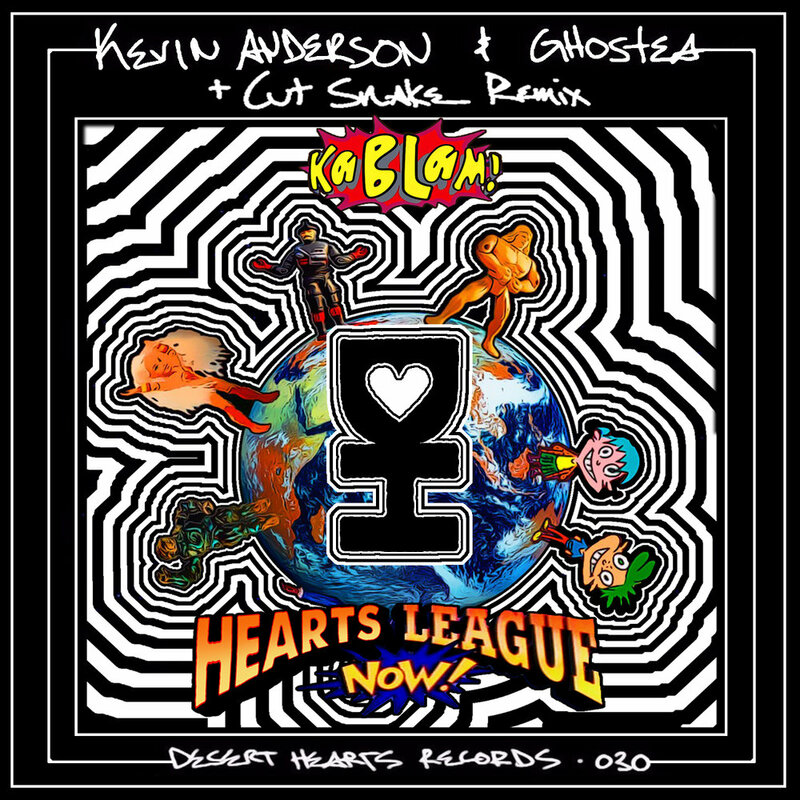 [DH030] Kevin Anderson, Ghostea - Kablam! The next EP on the label titled "Kablam!" comes from long-time Desert Hearts resident Kevin Anderson alongside LA based producer, Ghostea. Over the years we've seen firsthand the leaps and bounds these two producers have made with their music. Ghostea had been sending us great tracks for years but it wasn't until he teamed up with Kevin Anderson that we received something that truly blew our minds. It's been a long time coming for both producers and we couldn't be happier to see these boys on the rise. On remix duties we have the ex-pro surfers turned party pros, Cut Snake, delivering an absolutely monster rendition of the title track Kablam! We've known Leigh Sedley and Paul Fisher from before we started throwing parties and it's been absolutely wonderful seeing all the success they've had touring the world. This is such a massive EP with all three tracks demolishing dance floors from Dirtybird Campout to EDC and Global Eclipse Gathering. Enjoy! House, Techno, & Love... We Are All Desert Hearts.